THINKING ABOUT DOING A FIRST LOOK ON YOUR WEDDING DAY? Maybe you've contemplated the idea and are having a tough time deciding what to do, or maybe you've never considered a first look and want to learn more! Either way - here are some pointers that may help you decide if a first look is something you want to include in your special day! The first look is just what it sounds like! It's a special time before the ceremony, after the bride and groom are all dressed up and lookin' good, where the bride will give the groom... a first look! Whether she cascades down the stairs or peeks around the corner, she'll tap him on the shoulder and they take a good look at one another, tear up, and love on one another before the craziness of the rest of the day hits! It's probably the only time during the day where you and your significant other will have some alone time! Although your wedding day is all about you two, between the ceremony, cocktail hour, the reception, and everything else... from early hours of the morning until late at night, couples rarely get a moment together where they are not surrounded by friends and family. It's a time to talk, calm the nerves, read your vows privately to one another if you want, pray, and be emotional together! If a tight schedule terrifies you, a bonus of doing a first look is that you can get a large amount of photos done before the ceremony! I take my couples out for some sunset pictures always (because how could I not, it's stunning), but taking some portraits after the first look ensures it won't take 1-2 hours during the ceremony where you'll have to sneak away from guests! You can also get some family / bridal party photos taken after portraits and spend some time alone while I'm rallying everyone together. So... should you do one? I can't answer that for you because there's no right answer. 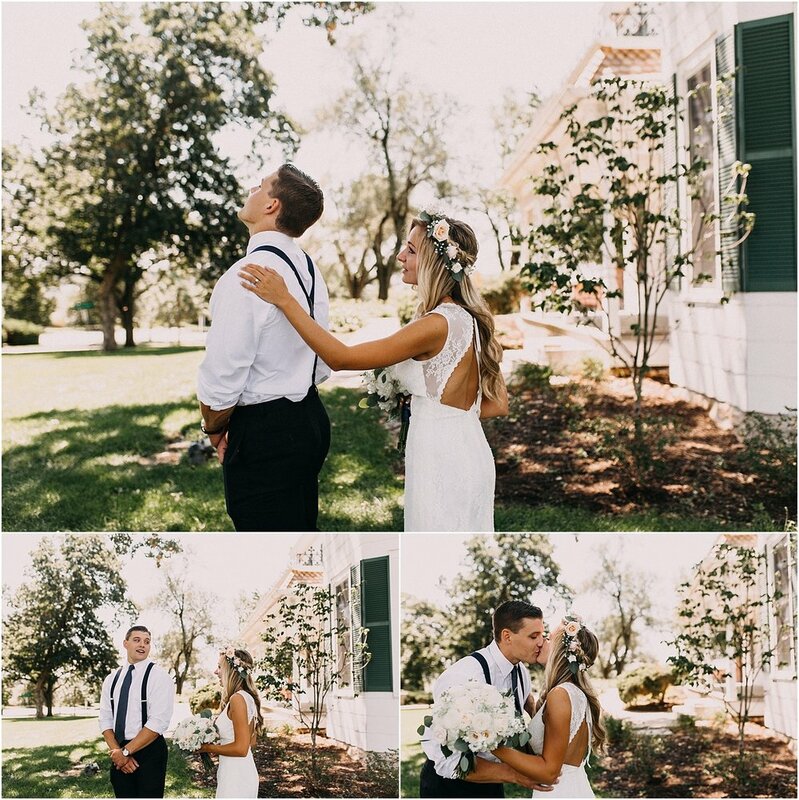 The good news is, whether you incorporate a first look or have him see you for the first time as you're walking down the aisle surrounded by loved ones, it's YOUR DAY and your decision! Either way - the groom will be emotional when you walk down the aisle (even if he saw you already), and it will be a wonderful moment you'll cherish forever. Browse through these sweet moments below!